Cady Bag Company, LLC was established in 1957 by Earl Webb and Harry & Nell Cady. The initial business was the production of cotton and paper mesh bags for roadside citrus stands in Florida. With six employees and a station wagon to deliver bags, Cady Bag was off and running. In 1967, Cady received a US Government five year contract to produce sand bags to support our efforts in the conflict in Viet Nam. About this same time the technology to produce polypropylene fabrics were commercialized and Cady Bag made the change from paper mesh to woven polypropylene fabrics. Based upon that success, Cady made a significant investment in equipment that could weave circular polypropylene fabrics. 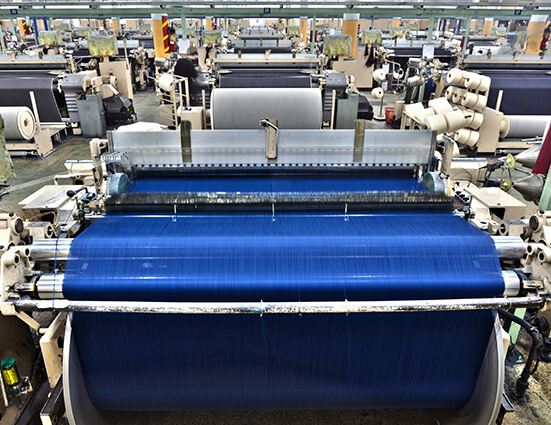 This weaving technology opened multiple new market segments for Cady and the business flourished throughout the 1980’s and 1990’s. In 1998, The Cady family sold the business to an investment group with the intention of growing the business ever further. The Cady family members left the business. Cady Bag became Cady Industries. After a 10 year absence, members of the Cady family, along with a group of local investors had the opportunity to purchase the Pearson, Ga location and its assets, starting a new beginning for Cady Bag. Since that time a new management team along with a group of loyal employees have once again established a business based upon innovation and customer focus. Our four primary business units; Leno Mesh Packaging, Cotton Bale Packaging, Consumer Products and Building Products/Industrial Coated Products are the drivers of our future. Our employees along with valued customer relationships have Cady Bag driving towards the future. Today, Cady Bag is a global business with a local touch. We are from South Georgia and will never vary from treating our employees and customers like family.